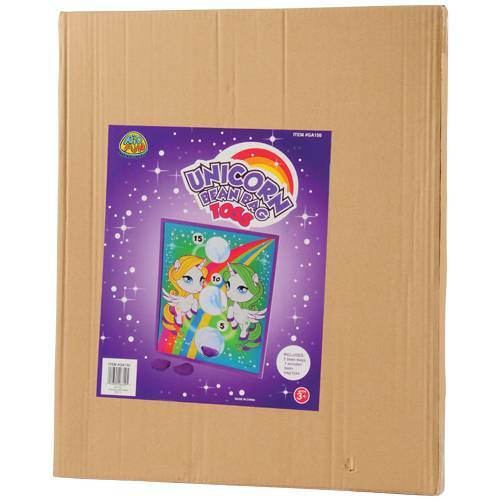 Size: 19 5/8" T. x 16 3/8" W.
Enter into the fantasy world of unicorns with this brightly colored bean bag toss game! Have a magical good time trying to be the first person to score the most points by aiming for the pre-cut holes with the included lightweight bean bags. 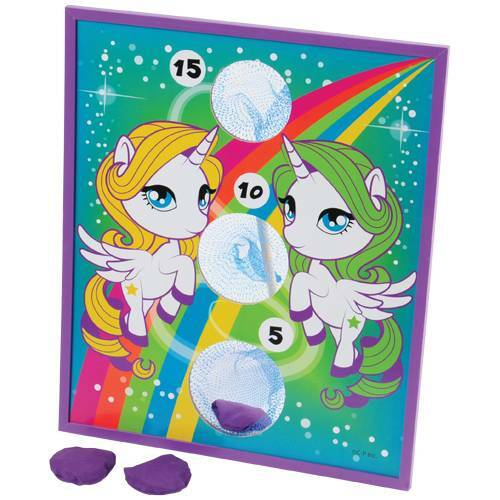 A great game for kids and adults alike at any unicorn or My Little Pony-themed event.